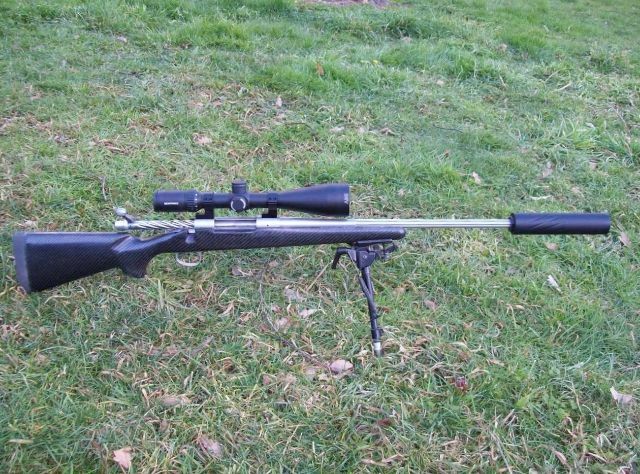 This is the second 30-06 improved I have built, the first was a test piece on a Rem 700 SA to get an idea of performance. 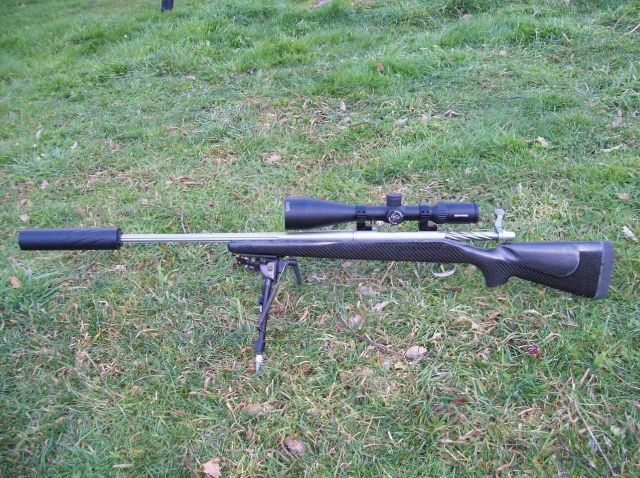 It has all the usual light bits on a Rem 700 LA, it weighs 8.4 lbs, 3.790 with the Night Force SHV & Hardy suppressor. 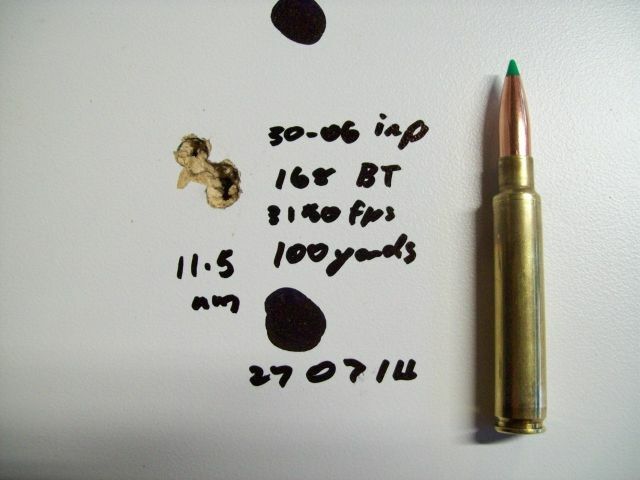 Being a 30 cal man the client wanted a bit more grunt than his 308 & not as much as his 338. This one doesn't go quite as fast as the first one, a slow barrel I guess, it still has pretty good performance all the same. Recoil is moderate with the suppressor & basically non existent with the T2 Terminator muzzle brake fitted, bit noisy though. Terminator, veitnamcam, Munsey and 2 others like this. Maybe build a .30 Gibbs instead! Why aren't these more prevalent? 7mm mag performance and cool. 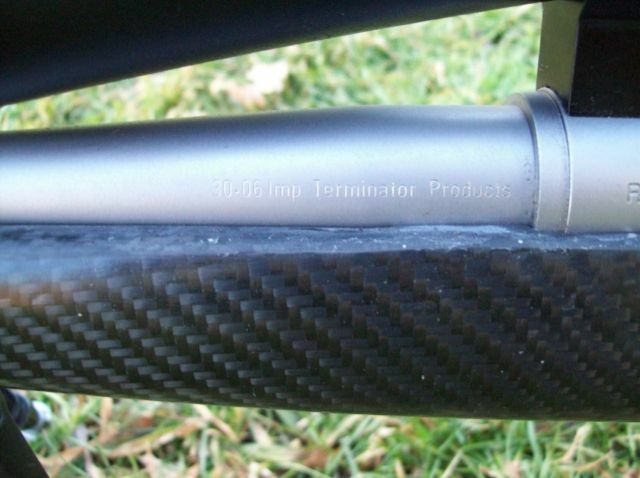 What the recoil like without the suppressor? I have only tested a few barrels, 20" wsa a little disappointing, 26" works well, I will be trying a long one in the future. The 30 cal will go faster than the 284 in the same case with the same weight projectile. Its terminal performance should be better short-medium (normal hunting) range, its BC will be less, assuming same type of projectile. I will have a Rem 700 280ai shortly so will have a better idea of comparative performance.